Indeed, the participation of God in the moral life is constant and all soulful? Are you sure about that? Your faith in it is as strong as his? We need to believe in something. Something stronger and more powerful than our essence. Something unattainable and unknowable. Why? We feel protected. Yes, exactly. We know that someone is watching over our deeds. I believe that our will and thoughts someone is running, but no, not as slaves. We are free conscious people. Self-sufficient person. Such a strong and irresistibly yell about their own opinion. That have the right to choose. Then why so eager to protect? The content of moral human behavior is regulated by God’s commandments. These are the same rules of conduct but not written by presidents of polity or republics. It should properly influence our understanding of these commandments. Human majority condemns new laws passed by government, but virtually no one will judge what is written in the Bible. Don’t you think that’s the whole point? That is why the Bible exists, there are the commandments and the belief that it’s all created by a higher being. Those we dare not condemn. This is why the Church has so much power now. We can not say, but coming to church to have a deeper knowledge of and closer to the faith is also affected. And God carries out this influence, and the clergy. Why do they think elected? Or not there is a particle of God in each of us, because we are all his creation. Cannot be given more, and who less than God’s love. It all made equally. Absolute evil , for T. Aquinas, does not exist (the opposite view would be contrary to christian monotheism (belief in one God)). Then why in the middle ages the church condemned women who were herbalist and treated for diseases that they are witches. Most importantly, the verdict for these unfortunates were burned at the stake. The same faith asserts that evil does not exist! And every man must act as he tells his internal push. Then why are people killed for what they harbored something different, not such, how all? The answer is obvious. Dissident people point the thoughtless crowds of human beings, what could be different. That there is another life without certain restrictions that strangle you here and at this time. Need only step, a step in front of and comprehend something that is not foreseeable, or at least to listen to what I can not understand. And then we lost power. Ecclesiastical authority. Power over time and space. The heads and brains of those who are the flock. And the herd never acknowledges that an experienced shepherd is and always has been their patron. When the church loses its power – people lose their lives. Because there is a risk disadvantageous for the saints all things, but not God’s messengers, as they say, and the self-proclaimed owners of this world as we see it. The highest good, F. Aquinas believed the purpose of the goals. In terms of content, it refers to them as complete identity with God. 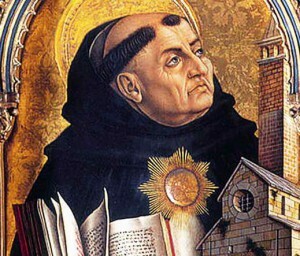 The person (Aquinas) the benefit available to the extent it is able to God assimilation . And can be assimilation God? You can even allow the thought in your head that you are capable of this? To be identical with God impossible. This inaccessibility. It’s all true truth, as assimilation this? It is the purest, the most perfect, unknown matter. It’s an unknown entity, the nature of which we even can’t imagine. If every thought can resemble the Creator, to then become of our world? All people are equal and should remain so. It is not so! You say looking at our cruel world with anarchy and violence. And the essence of our being lies in faith. The belief that there is punishment . Punishment for all the sins and misdeeds that creates the sinner. And when we think that the punishment overtakes the sinner not show your opinion in that punishment will come from earthly power of the Punisher and pushes its elements to higher powers. That is why the benefit is available to all, so we believe, but the identification of God – this is unacceptable arrogance and egocentrism. The highest good is the goal. The goal of each of us, but what is this goal? Now to have the benefit, namely housing, food, financial stability, and family warmth and understanding, you need to be strong and cruel, rigorous, to take from life, as they say. And that’s not all. As against blasphemy, obsequious, lie? Do you recognize this? Betrayal, deceit, robbery, corruption, extortion and it is not a complete list. Unless this is identified to achieve good? Perhaps through the passage of time, our understanding of good does not coincide with the understanding of this concept during the F. Aquinas. And that’s why it turns out such distortion of reality. We must believe in God to be protected. To be invisible mentor, a psychologist, a kindred spirit where and when. We need to be knowledgeable in God’s commandments for understanding the essence of the human race, but also to have an awareness of all things. Should be going to church, but not under duress. Not knowing that is so necessary, at the call of the soul. In order to hear. Not the cleric with the idea of the omnipresent salvation of the Lord, and own the voice of the heart. Listen and understand who you really are. This entry was posted in Ethical and tagged Thomas Aquinas on 18/11/2016 by Mary.